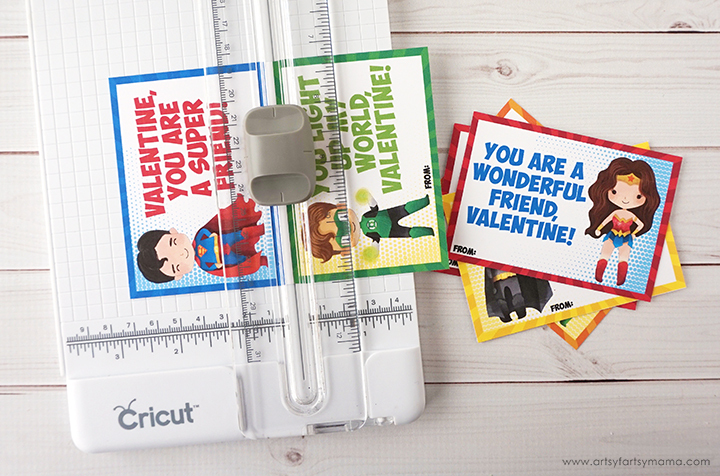 Show your friends how super they are with these Free Printable DC Superhero Valentines! 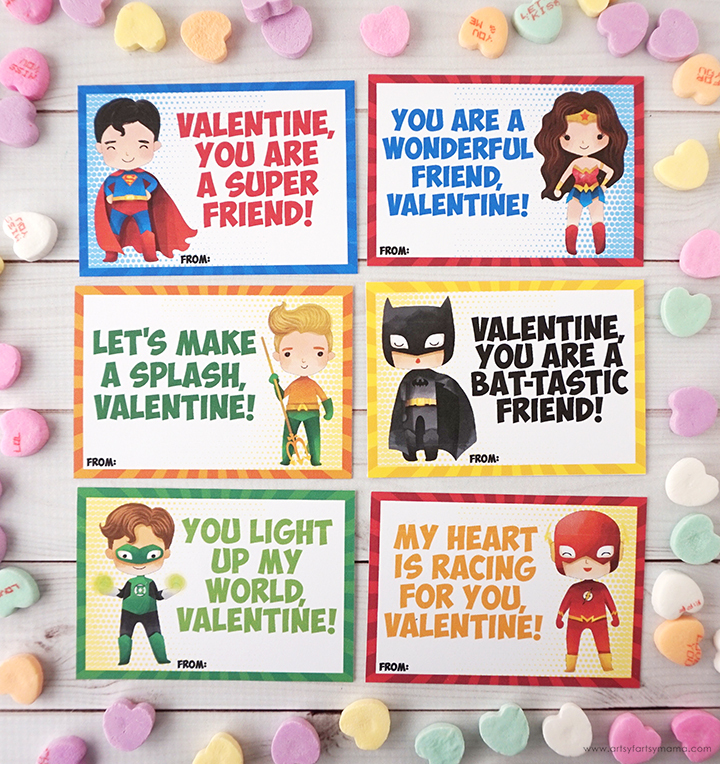 If you're a fan of superheroes, then you are going to love these Free Printable Superhero Valentines! 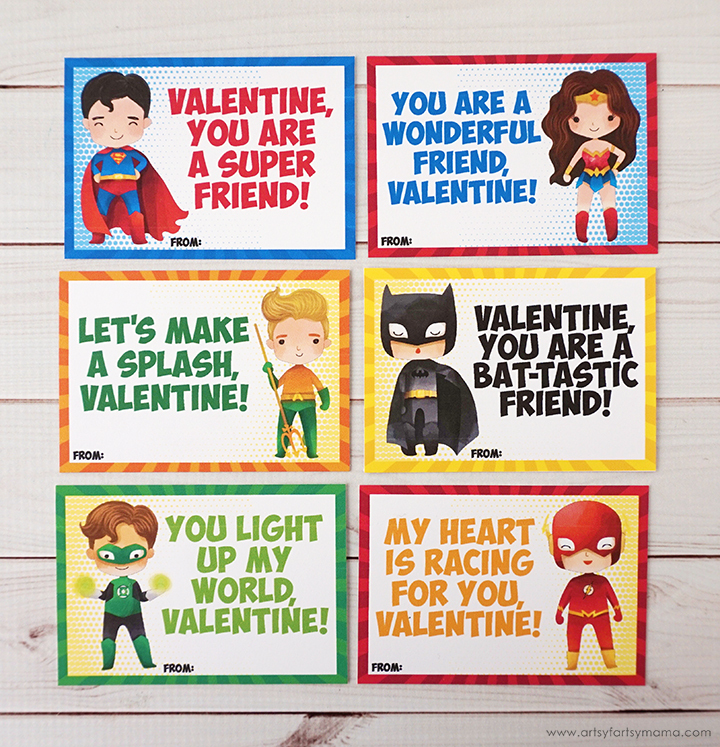 Last year I made some other Superhero Valentines to pair with fun rings, but this year I wanted to make some cards inspired by our favorite DC characters: Wonder Woman, Superman, Batman, Aquaman (the original, not Momoa), Flash, and Green Lantern! 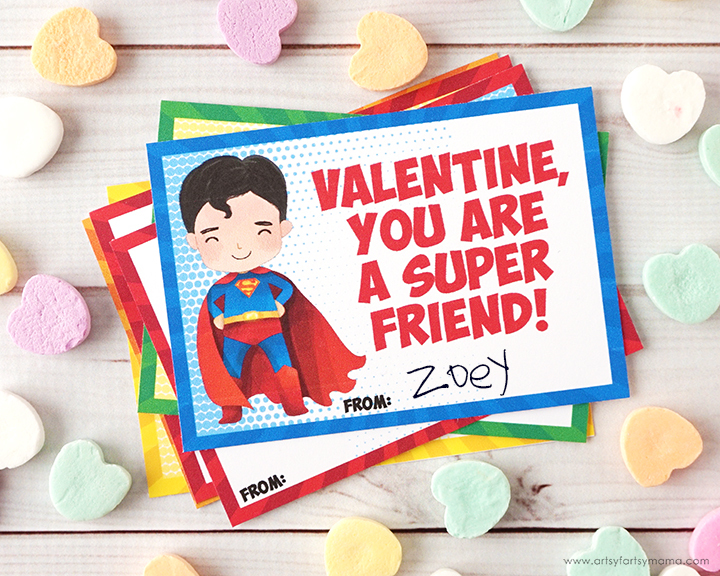 Fill out the "from" section and these awesome Superhero Valentine cards are ready to be handed out! 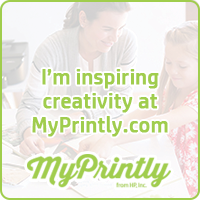 There are 6 Valentine cards in the printable file, and you are welcome to use these for personal use - meaning feel free to share these at home and in the classroom!